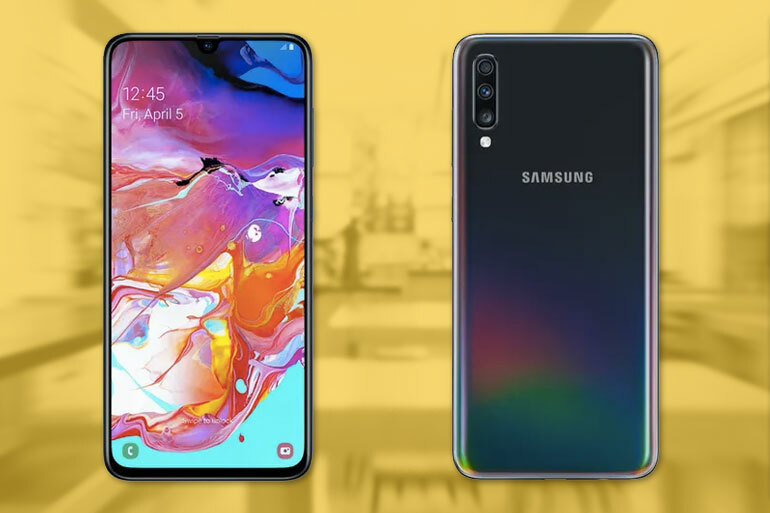 Samsung unveils yet another Galaxy A-series phone with large display phone — the Samsung Galaxy A70. The Samsung Galaxy A70 has a large 6.7-inch full HD+ Super AMOLED display with a cinematic 20:9 aspect ratio, a dew drop notch, and an in-display fingerprint scanner. Inside, it is powered by an octa-core Qualcomm Snapdragon 6150 processor with 6GB RAM, 128GB of expandable storage, and a huge 4,500mAh battery with 25W Super Fast Charging. It also features a triple rear camera consisting of a 32MP + 8MP + 5MP module. In front, the phone has a 32MP selfie shooter. The Samsung Galaxy A70’s pricing and availability are yet to be announced.